It is a shame that the differences between the police and the army are becoming non-existent. Their roles are supposed to be different, so one would think they would be equipped differently. Apparently that is not the case. 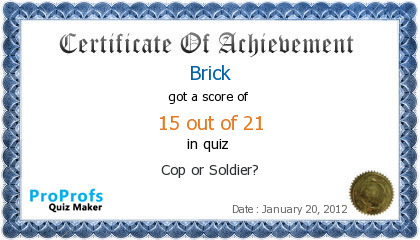 I present the "Cop or Soldier" quiz. It should have been easy. It was not.